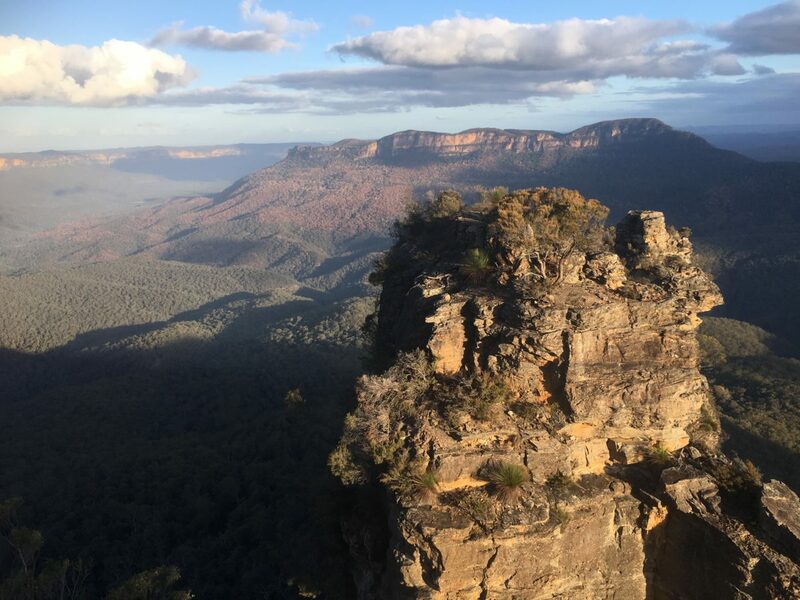 This 4 day active walking tour of the Blue Mountains is jam packed with the highlights of the region! While we do sneak in a few tourist attractions of the Blue Mountains, like the famous Three Sisters Lookout, this tour is predominately about exploring one of Australia’s most iconic walking destinations. The Blue Mountains boasts a walkers dream of ancient, thick forests, sheer cliffs, cool deep valleys, impressive canyons with hanging gardens and lookouts presenting rolling ranges as far as the eye can see. 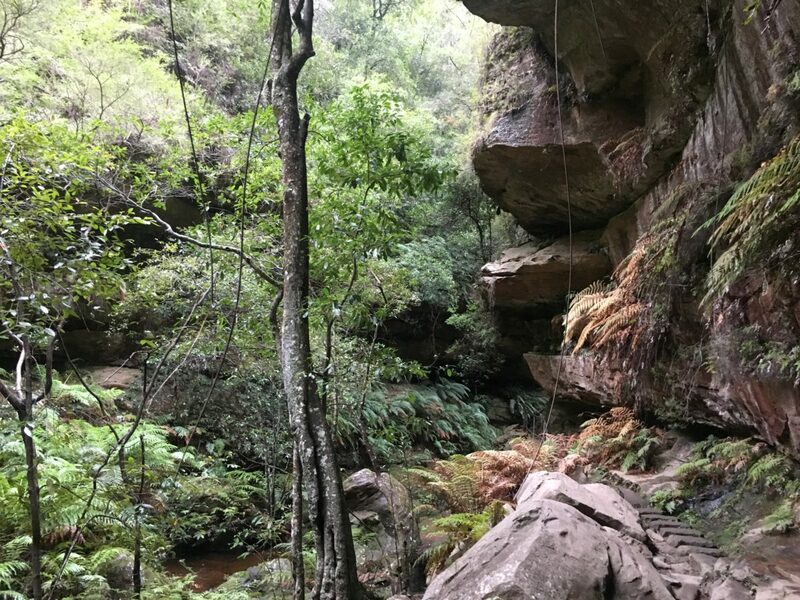 During your 4 day tour you will leave the tourist scene behind and complete come unique and picturesque walks including the Ruined Castle and the cool, fern lined depths of the Blue Mountains very own Grand Canyon. While there is a lot of walking in and out of steep gullies, the tour is easily achievable to those with a moderate level of fitness. Carrying only a day pack, the walks are generally short and the trails well maintained. As a guided walking tour you will also have the assistance and knowledge of guides to help you through any challenging sections. This is a fully catered and lodge accommodated walking tour. 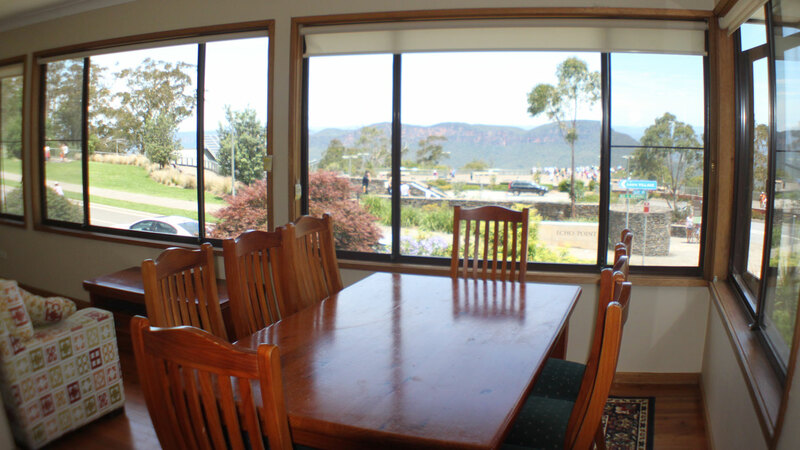 Each night your group will return to the centrally located Echo Point Village (you can literally lookout over the Three Sisters from the cosy living room) and a delicious home-cooked meal. 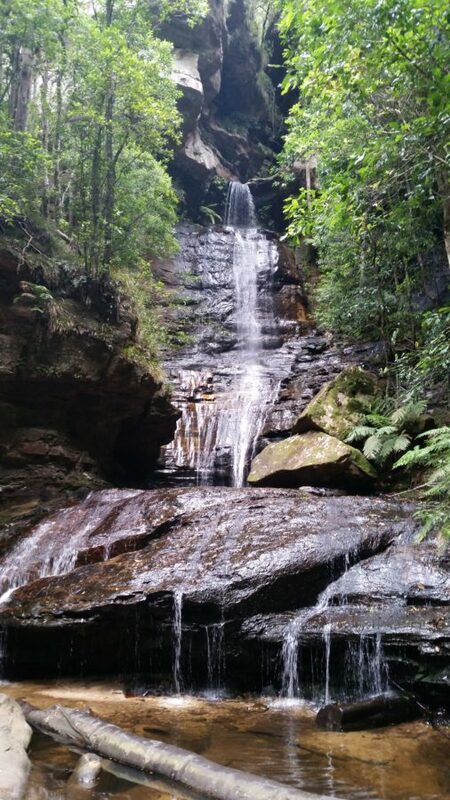 Escape to the Blue Mountains and see why it is one of Australia’s most iconic walking destinations! You’ll visit the highlights of the region like Echo Point Lookout (Three Sisters) as well as some challenging and unique walks like the Grand Canyon. Walk 8 km on Day One, 14km on Day Two, 12 km on Day Three and 6 km on Day Four. $1,520pp twin share, or $1,770 for a single room. 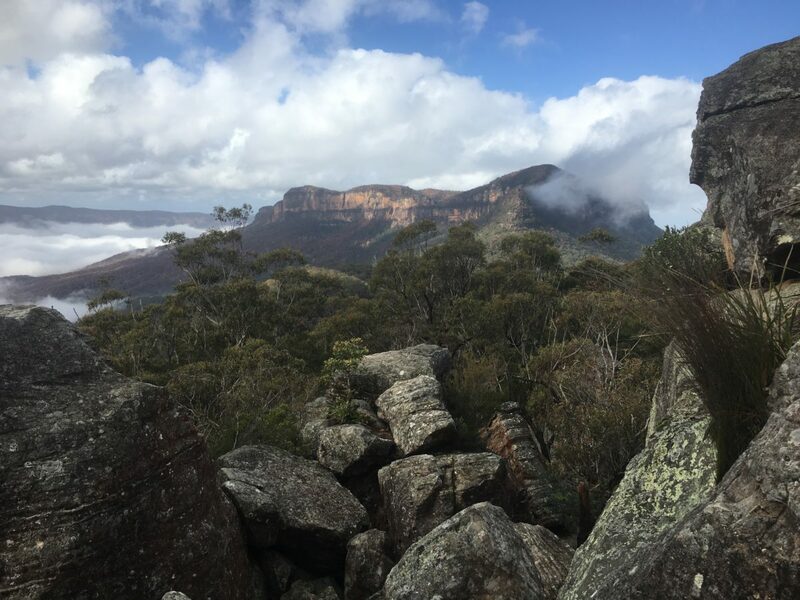 Escape the tourist scene and complete some of the Blue Mountains most spectacular and unique walks over 4 days. Enjoy hiking into deep cool, fern-lined gullies and gazing upon rolling valleys as far as the eye can see. Central accommodation that overlooks the Three Sisters! All walks are between 6 and 14 kilometres and some walks include some steep descents and ascents. A moderate level of fitness is required and some training before your holiday will make the experience all the more enjoyable. A guide will accompany you each day. We depart Sydney CBD at 8am, heading for the beautiful Blue Mountains. Enjoy a delicious morning tea at Wentworth Falls while getting to know your walking companions after which we enjoy a walk around the falls. 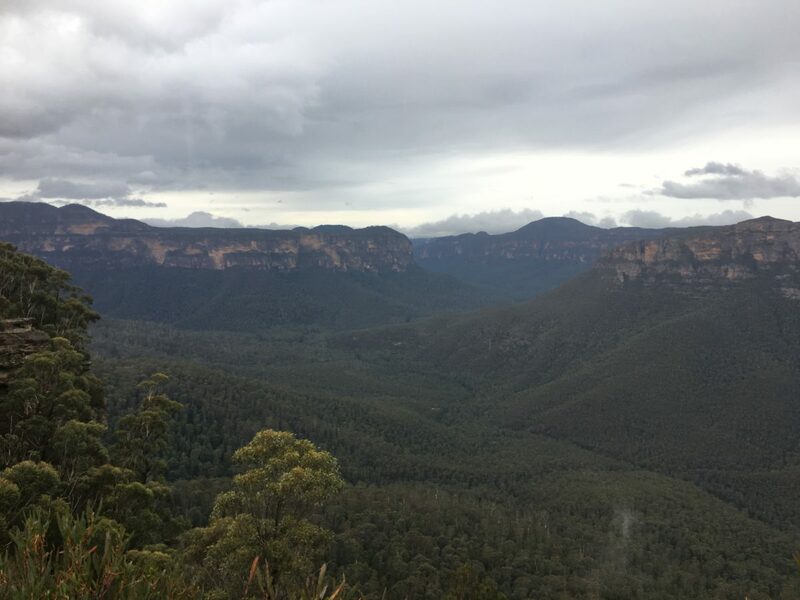 After a short drive to Katoomba we walk from Katoomba Cascades, past famous the Echo Point lookout (Three Sisters) for a lovely picnic lunch, and finish with a 5km stretch along Prince Henry Cliff Walk to Leura. The walking today is relatively easy, whilst taking in some of the highlights of the area. The cliff walk offers great views to Mount Solitary and valleys. Note, as we walk in the morning and the afternoon, please wear your hiking clothes on the bus and bring your day pack ready to go. After a short drive the walk starts off at Scenic World Katoomba, where we quickly leave the tourist scene behind. Descending down Furber Stairs, we get close to the impressive cliffs and waterfalls, and into lush wet sclerophyll forest. After the descent, the trail skirts the base of the cliffs; there is a bit of rock to negotiate, but generally a comfortable walk, with changing vegetation and forest types. We enjoy morning tea on the trail and lunch at the ruined castle, with sensational views to Mount Solitary and across the Jamison valley. We return via the same trail for a short while after lunch before ascending out of the valley on a different set of stairs; for a change of scenery and it just so happens to be a shorter ascent. Bonus! These two walks together create the ultimate Blue Mountains end-to-end walk. Starting at Pulpitt Rock and it’s amazing lookout platforms, the track heads along the tops of cliffs looking over Grose Valley, enjoying a series of lookouts and small grottos until we reach Evan’s Lookout. Govett’s Leap is a great location for a delicious morning tea along the way. From there your group will head down into the remarkable Grand Canyon. A wonderful world of hanging gardens, rocky creeks and fern-lined gullies. It really is one of the best walks in Australia, and the recently refurbished trail has improved the underfoot conditions. Still a bit of rock hopping in the valley but quite a doable and outstanding trail. After a scenic drive to Pierces Pass we head to a very quiet part of the Blue Mountains, Grose River Valley. 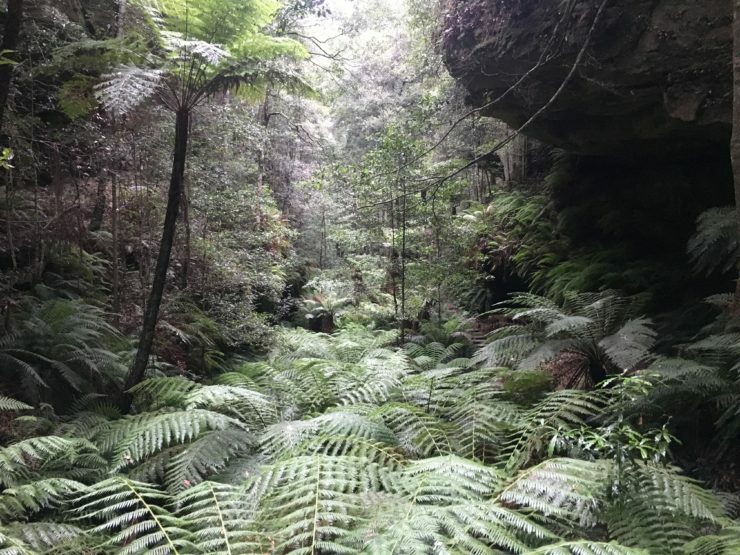 The walk starts off with tree ferns and cliffs, and an easy descent into beautiful eucalypt forest. The descent to the river gets a bit steeper – which means the descent also can be challenging – but the views of the peaceful valley are worth it. At the river there are some spots for us to enjoy and soak up the stunning scenery before the ascent, and a return to the city beckons. The drive to Sydney is about 2.5 hours from Blackheath. We stay the length of the tour at Echo Point Village, Katoomba. It is in a stunning location, directly opposite Echo Point Lookout. The living room of the main house, where we come together for meals actually looks out over the Three Sisters. What a site to behold every morning and evening! Echo Point Village has a number of 3 bedroom and 2 bedroom houses/villas and we take as many as we need to accommodate the group. The ‘Blue House’ which overlooks the Three Sisters will be set up as “the main house” where we share meals. Day-pack one with a waist strap is best to help distribute the weight from your shoulders. A waterproof cover or a bin bag to wrap your belongings in is a good idea too. Shorts/long pants and shirts for walking as many sets as you wish! Socks whichever thickness you’re comfortable walking in and as many pairs as you like. 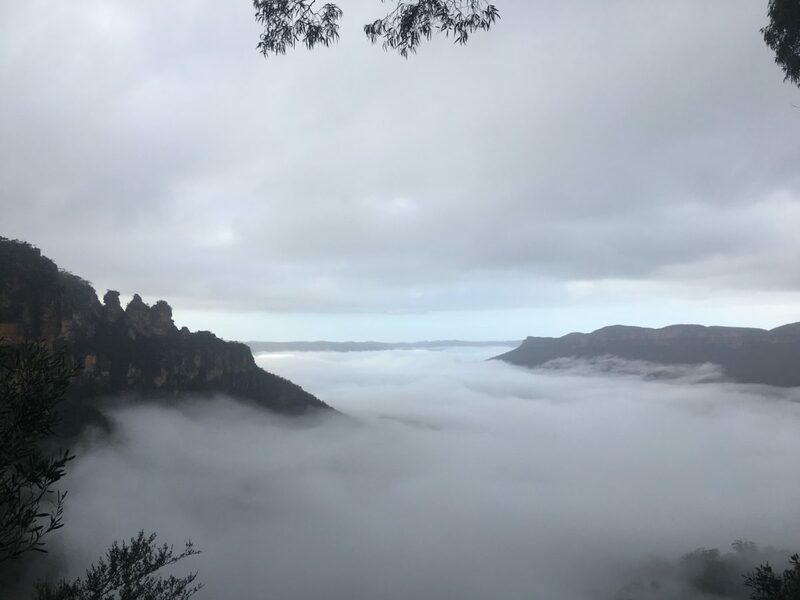 *You have to expect some bad weather at any time of the year in the Blue Mountains so bring wet weather gear even if the forecast is fine. All meals are provided. Breakfast will comprise of cereal, fruit, yoghurt and toast. Lunch will be self-made from supplied breads, salads and meats. Dinner will be a two course home-prepared meal. Please let us know of any dietary requirements. Assistance is appreciated with clearing away and washing up. Each day your guide will carry tea, coffee and home-made cakes or biscuits for your morning tea. Fruit is also available. If you need additional snacks e.g. muesli bars, chocolate etc you will need to supply those. Each evening we offer pre dinner nibbles. There will be time for you to purchase your own alcohol and supplies during the tour. Transport is via an air conditioned 12-15 seat mini bus. The bus will pick you up and drop you off from the Sydney CBD and to and from the track and various attractions each day. As the transport from Sydney is provided at no additional charge, discounts cannot be offered if walkers choose to find their own way to Katoomba. Whether we use a local caterer or cook for you ourselves, our food promises a delicious and satisfying end to the day. We’ll spend three nights together in the very comfortable and superbly located Echo Point Village which overlooks The Three Sisters lookout. Accommodation is twin share but single supplements are available – please enquire. As much as this tour is a fantastic outdoor experience, it’s also a social experience, giving you a chance to enjoy the companionship and support of like-minded people. Emily and Adam’s encouragement and sense of humour made the challenging bits of the walk manageable and fun. They fostered a sense of a community amongst the group from the outset. Their knowledge of the local plants, landscape and history made the walk all the more inspiring. They planned and cooked delicious meals. Secure your place with a $350 deposit.